And he was right. Your gut health is imperative to your well-being, so much so that some people call the digestive system the body’s “second brain”! That’s because your microbiome — the microscopic world of bacteria that lives inside you — has a HUGE impact on your overall health. Restoring good gut bacteria and avoiding the growth of bad gut bacteria has a variety of benefits: It can improve your metabolism, boost weight loss, bolster your immune system, and even improve your mood! Study after study has shown that eating the right foods is a foolproof way to improve the health of your microbiome. On the other hand, eating the wrong foods can be absolutely devastating to your gut health — poor nutrition kills off the good bacteria and feeds the bad. Unfortunately, many of the worst foods for our gut are also the most common, which makes it especially hard to figure out what you should be trying to avoid. To help you, we’ve put together this comprehensive guide to show you which foods you probably eat that could be destroying your gut — one meal at a time. 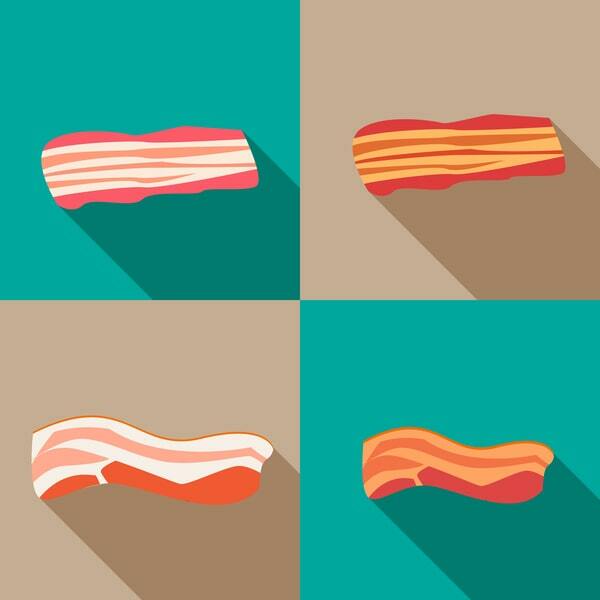 Are You Destroying Your Gut with These 10 Foods? We all know we could benefit from a little less sugar. But if you have a sweet tooth, you know it’s not that easy to give up. However, most people are not aware of exactly how much sugar they are eating every day. The food industry is not required to list the percentage of your daily value of added sugar on any nutrition facts labels, making it even more difficult. The American Heart Association recommends no more than 25 grams of added sugars a day for women and less than 38 grams for men.3 The easiest way to control your sugar consumption is to switch from processed and pre-prepared foods to whole food sources. You may have heard of gluten-free diets, but do you know what gluten is? 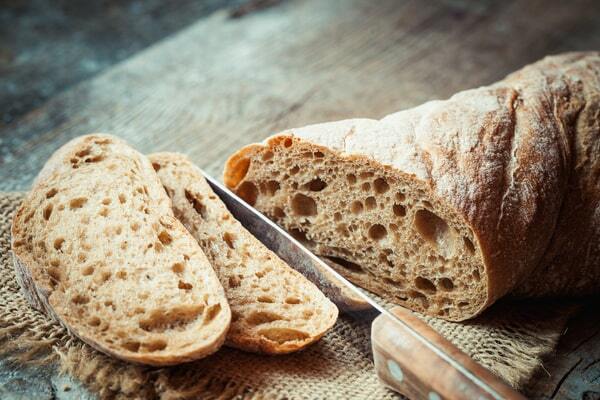 Gluten is a protein found in grains such as wheat, rye, and barley. It is the substance that makes bread fluffy, soft, and palatable. However, even those who do not have a clinical gluten sensitivity or allergy should probably try giving it up. Studies have shown that a short-term gluten-free diet can have a very positive impact on your gut flora. Give it a try — there is a gluten-free version of just about everything you can think of! Do you know anyone who is lactose-intolerant? 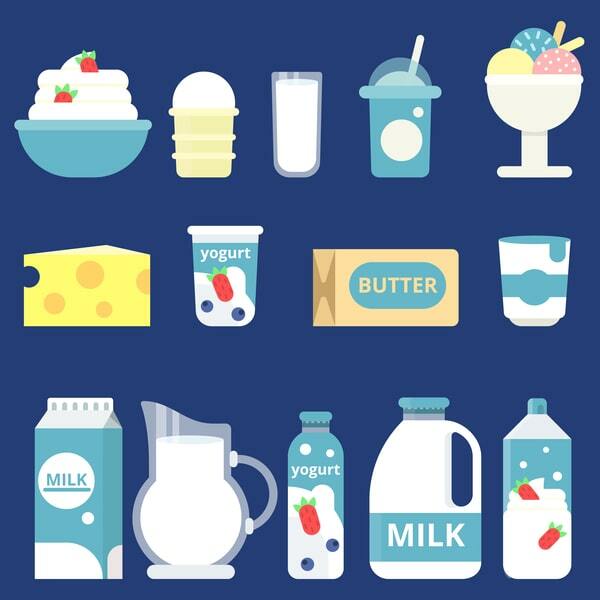 Lactose is a sugar present in dairy products, such as your favorite yogurt and ice cream. Those who are lactose-intolerant do not possess the necessary enzymes to digest lactose. This leads to uncomfortable digestive symptoms, such as excess gas, diarrhea, and indigestion. If you love dairy products, try getting your next gallon of milk from a local farm or farmer’s market. Look for organic, grass-fed dairy products or try dairy alternatives such as nut milks and butters to avoid exposure to harmful antibiotics. However, if you love having a hard-boiled egg as a snack or having daily scrambled eggs, then you’re in luck. It’s easier than ever to find antibiotic-free, free-range, organic eggs from ethical farms. Also, when you buy eggs from farmers near you, you support local agriculture! Soy is widely considered a health food, but in most cases, it could actually be doing more harm than good — especially when it comes to your gut. You may already know that reducing the amount of fried and processed foods in your diet is essential to your health. Beyond the heart health, mood, hormonal, and other benefits, cutting out these culprits also improves your healthy gut bacteria. Why? Just like sugar, fried and processed foods feed the bad bacteria in your gut, setting your microbiome out of balance. The easiest way to avoid these foods is to focus on eating a whole-food diet. For example, if you’re craving something fried, instead of ordering some French fries, try roasting your own potatoes at home and using oils with non-genetically modified ingredients, such as coconut oil in place of canola or vegetable oil. GMO foods are a modern creation, a result of the industrialization of the agriculture industry. GMO stands for “genetically modified organism,” which is a living being that has had its genetic code modified in some way.10 For example, the DNA of yellow squash has been modified to make it insect resistant, thus making it cheaper, easier, and more convenient to farm. Research has shown that GMOs directly affect the function of bacteria in the gut. DNA from genetically modified plant cells has been found ingested in the gut completely intact.11 This plant cell DNA ultimately changes the way gut bacteria works, keeping it from functioning properly. This scary discovery is just another reason to avoid foods high in GMOs, such as processed, prepackaged foods high in chemicals and hard-to-pronounce ingredients. Some of the most common GMO foods include corn, soy, dairy, the artificial sweetener aspartame, canola, rice, tomatoes, beets, and potatoes. Consider either avoiding these foods or getting them from organic sources. Fish is considered part of a healthy diet and a great lean source of protein for those looking for alternatives to beef and poultry. However, there are secret risks to consuming fish from industrialized farming sources. 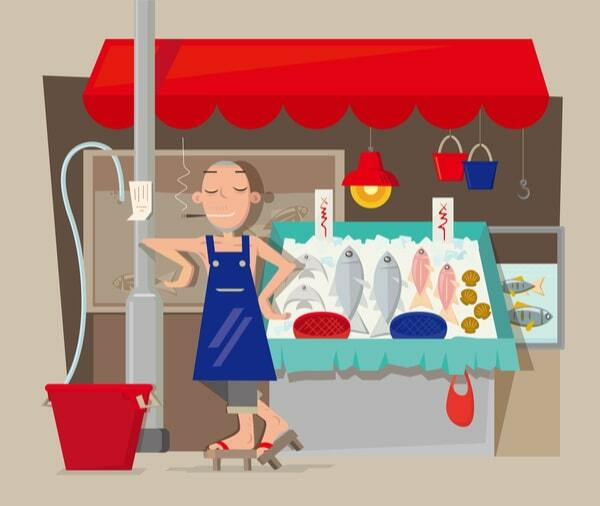 Ask yourself: Where do you usually buy your fish? Did you know that prepackaged fish are farmed, similar to the beef and poultry industries? Although we all want to think our fish is wild-caught off the side of a boat, most commercially available fish is sourced from less than ideal conditions. Conventionally farmed fish are raised in close quarters and fed unnatural diets, such as corn laced with growth hormones and antibiotics. To avoid mercury and antibiotic exposure, make sure the fish you consume is wild-caught or a species that is less likely to be contaminated. While grass-fed and pasture-raised beef has a number of health benefits, conventionally farmed red meat can be dangerous to your health. That’s because conventionally raised cattle are fed diets rich in harmful chemical fertilizers, pesticides, and hormones. Beef is one of the most profitable meats in the industry, and farmers discovered years ago that feeding their cows a small amount of antibiotics a day would increase weight gain by 3% more than they otherwise would.13 In an industry where profit is measured by price per pound, this was a revolutionary discovery. Antibiotics have been present in meat ever since. 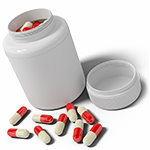 These antibiotics will quickly deplete your levels of healthy gut bacteria. Not only that, but industrial agriculture farms feed their cows diets rich in GMO soy and corn in order to fatten them up even more. However, the pro-inflammatory compounds in the feed get transferred to you when you eat the meat. In order to avoid unnecessary exposure to harmful antibiotics, chemicals, and inflammation-causing compounds, avoid red meat and find responsible sources for your beef. Look for organic, grass-fed beef when possible. It is not only safer for your health, but it tastes better, too! You may already be staying hydrated and cutting out sugary culprits such as fruit juice and soft drinks as part of a healthy diet. But have you ever considered the purity of your water as it affects your health? An easy way to reduce this risk is to invest in a home water filter that you can keep in the fridge or put on your faucet. Eliminating the risks of these 10 common foods is an easy way to improve your gut health and repair your digestive system. 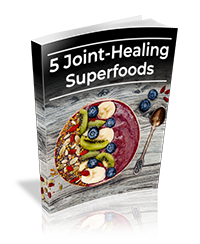 In our society, it can be almost impossible to avoid traces of harmful chemicals and antibiotics in our foods all the time. So don’t worry if you decide to go out for ice cream with your kids or to drink a glass of tap water before bed. Having occasional exposure to these environmental contaminants does not doom you to an unhealthy gut microbiome. Instead, making small changes, such as buying meat and dairy from a local source and changing your cooking oil to something with less GMOs, gives your gut the support it needs to improve your overall health. So don’t wait — start making small changes for the health of your gut today. Your body deserves it!